Larry Groff interviews painter Derek Buckner whose work was recently on view at George Billis Gallery, New York. 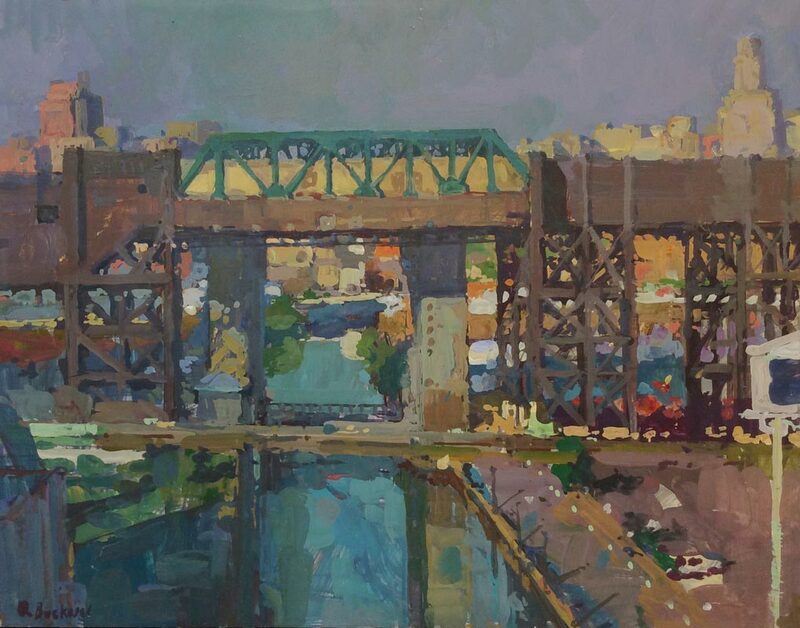 Buckner notes: "... one of the reasons I am drawn to the industrial landscape is because it is visually different than what we see in our usual urban surroundings. The trucks are different, the structures are different, they serve a purpose but often, as onlookers, we have no idea what that purpose is. There is a natural abstraction to the fact that it’s an unfamiliar environment and this keeps things visually exciting."